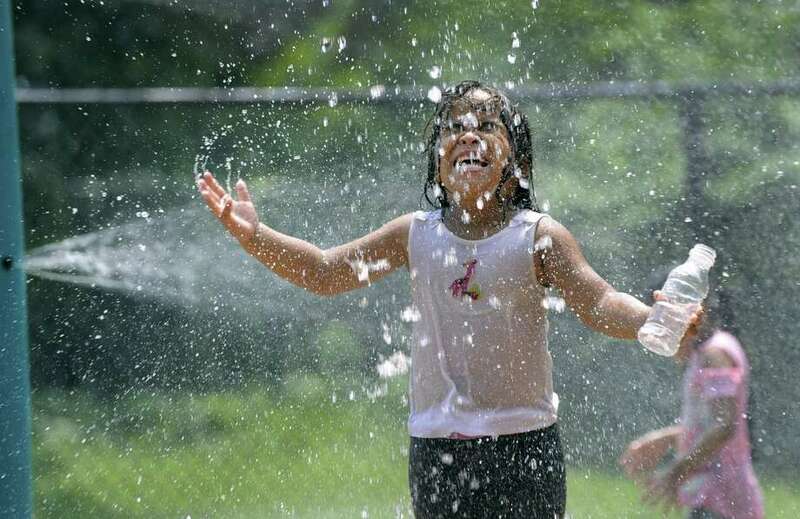 Elia Backus, 5, cools off at the Highland Avenue Spray Park in Danbury Tuesday, August 7, 2018. With high humidity and temperatures expected to soar in to the 90s. some school districts plan early dismissals Tuesday. The National Weather Service has a heat advisory for all of Connecticut until p.m. The heat index will make it feel between 95 and 99 degrees. Peak tempeatures are expected this afternoon and early evening. Milford: Public schools, Platt Tech School and Laurelton Hall. Norwalk: All middle schools, Cranbury, Kendall, Naramake, Rowayton, Silvermine, Tracey and Wolfpit. Regional School Districts 1, 10, 15 and 6.